A project manager is an individual who is in charge of the planning and execution of a particular project. Basically, a project manager takes charge and oversees a project that is being developed by the company or business organization. You may also see company email signature examples. If you are a project manager (or nearing to be promoted in the future), you need an email signature to communicate not only with colleagues but also with your clients. 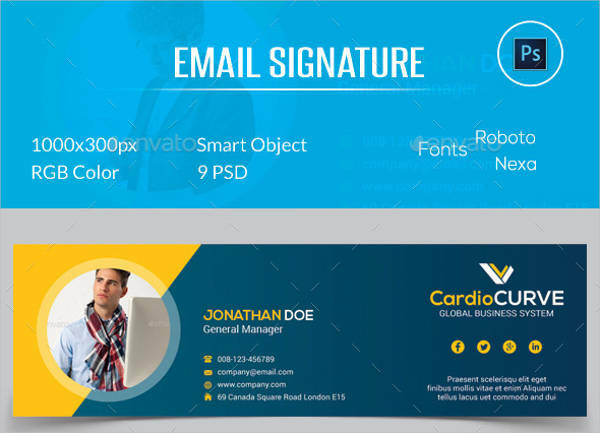 Found below are some email signature examples you can download at very affordable prices. We also included some tips on how to create an effective email signature. Listed below are some tips in creating an email signature. The tips provided below are not only for a project manager but for most types of email signatures. Unfortunately, an email signature does not revolve around its designs. Even though you want to incorporate different styles and forms of graphic design, having too much designs actually defeats the purpose of an email signature. So you may be asking what really is the purpose of an email signature? The answer lies in the personal details being provided. Personal details or personal information does not pertain passwords to your social media accounts or your social security pin. In this case, personal information does not involve in you giving out information that will compromise your privacy and identity. You may also see personal email signature examples. In an email signature, personal information includes your full name, designation or position in the company, and contact number. There is no need to include the email address as you are sending the email signature from your professional email in the first place. Personal information in a simple email signature can also be classified as business information. Indicating your personal information helps clients easily get in touch with you, especially if there are ongoing or future projects in which you and the other party will be involved with. As previously mentioned, an email signature does not revolve around its design. The professional email signature actually loses its purpose if too many designs are incorporated in the email signature. It will be very difficult for your colleagues or clients to have an email conversation with you if your email signature is filled with too many designs and art. Minimizing the use of designs does not mean you don’t have to incorporate any designs at all. For an email signature, it is highly suggested that you use one or two designs so that the general email signature can still look visually attractive without dozens of designs being incorporated. 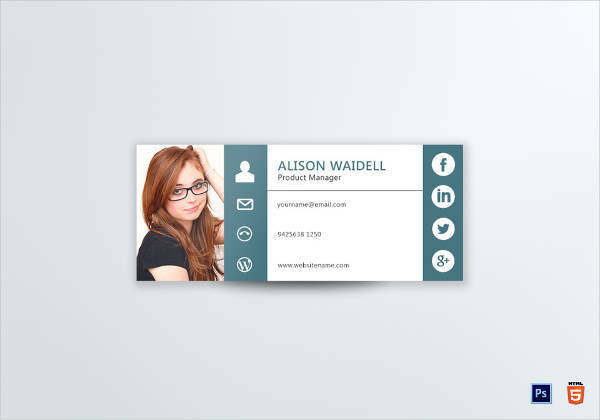 The designs will depend on the email signature you are creating. 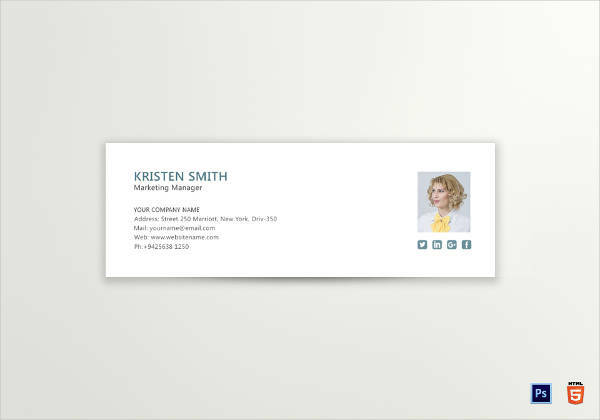 For example, if you are creating a project manager email signature, you should be incorporating designs, images, or stock photos that are related to managers such as a laptop, suit or blazer, tie, smartphone, tablet, pen, general charts, graphs, money, etc. As previously mentioned, an email signature should not comprise of more than or two designs. But the designs do not involve the colors you are going to use. The rule in the number of designs to be implemented also applies to the number of colors—one or two (at most). Again, the use of colors should be limited to avoid the email signature being too overstuffed with designs and colors. If you are to use multiple colors in your formal email signature, you have two options on the color scheme you will be using. The first option involves using similar colors while the second option involves using contrasting colors. Remember if you are using only one color (for example black for the text and for the borders of the email signature), then there is no need to follow a color scheme. Most individuals use the first option when incorporating colors in their general email signatures. This is because it is easier to use colors having similar variations or palettes (for example, dark green and yellow green, blue and violet, pink and red, etc.). Using contrasting colors is also common, although not as widely used compared to the first option. Using contrasting colors is unique and creative, and it adds another dimension to the email signature’s visual aesthetics. Listed below are some tips in becoming an effective project manager. Take note of these tips so that you and your team can efficiently finish the project you are working on. Transparency is important not only for a project manager but for everyone involved in the completion of the project. A project that does not follow transparency will always result in a project having low quality. The project manager should be first in line to encourage as well promote transparency not only for his team but for the entire company. Transparency is not only limited to handling cash but transparency should also be observed by workers and their work responsibilities. You may also see product manager email signature designs & examples. Another tip in becoming an effective project manager is to study your competitors. Studying and analyzing competitors does not mean following their every move and making products identical to theirs. Using this tactic will eventually result in your company losing competitors since you do not have a distinct identity that can separate yourself from the competition. You may also like corporate email signature examples. There is no need to analyze their every move as you can just simply do a background check on the products and services your competitors are selling. From the background check, you can now analyze which of the items or functions you want to improve for your own company. 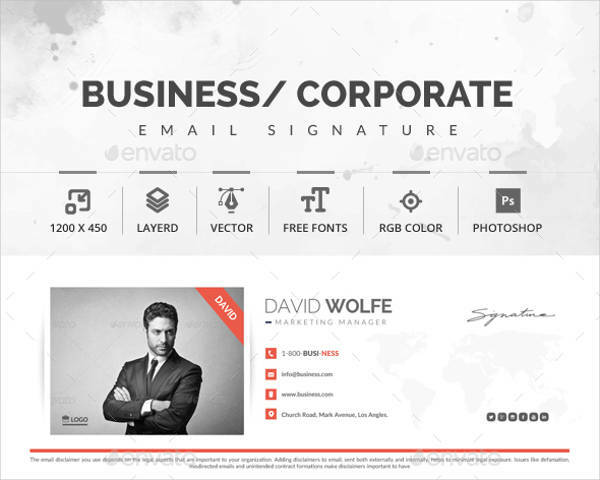 You may also check out business email signature examples. Motivation is very common in the workplace but is rarely practiced. That is the reason why employees quit because they are not motivated enough, or their superiors do not provide them with enough motivation to finish their tasks. In contrast, they would rather scold or reprimand an employee who has not performed well in his work. 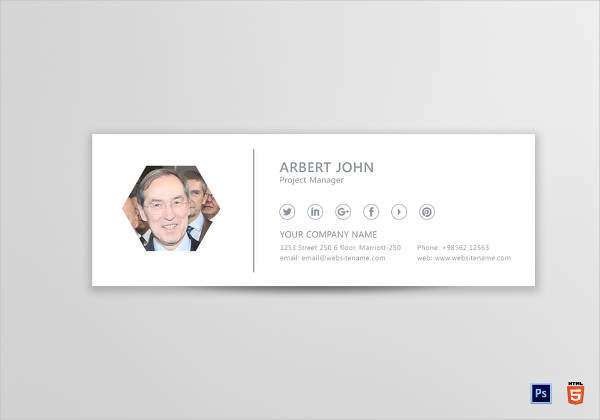 You might be interested in sales email signature designs & examples. Being reprimanded is part of the job, but if the employee is being reprimanded more than he is being praised or given recognition, then there is no reason for him to stay in the company. That is why it is part of the project manager’s job not only to provide technical assistance but also to provide inspirational leadership as well. 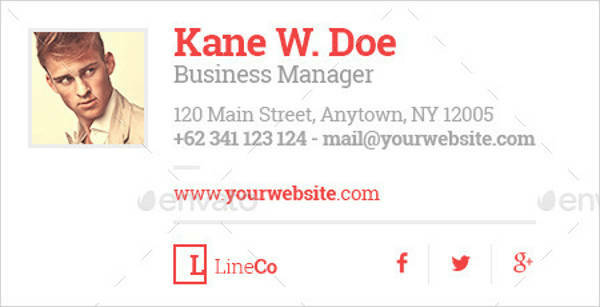 You may also see Web developer email signature designs & examples. We hope you found this article to be informative as well as helpful when you will be creating your own project manager email signature.